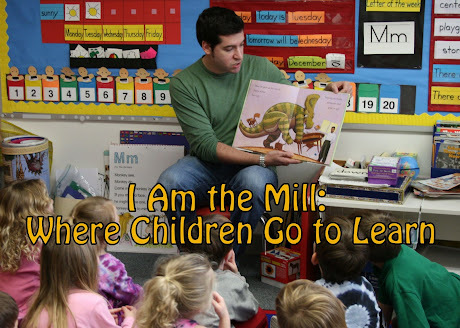 I Am The Mill: Another Mill? As I've mentioned in a recent post ("Google Yourself" - November 13, 2007) I regularly enter my name into Google, to make sure I still exist. Don't worry, I'm real, and not a figment of your imagination. But today, my Google discovery was very much like a waking nightmare. Every prior instance of entering "Scott Rathmill" into the Google search box has yielded results that I've been able to attribute to myself. There's some stupid quote from the college newspaper. This blog shows up in several results. I published a few chemistry papers in scientific journals, believe it or not. These results all make sense to me. After all, I'm Scott Rathmill. It's a link to a Catholic Primary School in England, in a town called Macclesfield. It's in Cheshire, in case you know where that is. This particular page contains a list of weekly merit awards for everything from "being a good friend," to "excellent work in math," all the way to "coping with a broken leg." Running the gamut of high achievements. Funny thing is, I was never notified of such an award. And I don't even know anyone at this school in England. Furthermore, I've never even set foot on English soil. That leaves us with several explanations, only one of which terrifies me. 1) Simple misspelling. The kid's name is "Rothmill" or "Rathmell" or something like that. 2) This is some elaborate practical joke. 4) (This is the really scary one) THERE IS ANOTHER HUMAN ON THIS PLANET NAMED "SCOTT RATHMILL." I don't want to admit to the possibility of #4. I think I'd rather be a British toddler. But if there is, in fact, someone else with my name, then I congratulate him. It's a fabulous name. A spectacular name. It's spelled exactly as it sounds. There are no extraneous consonants. It's looks great on a business card. Cherish your name, Young British Scott Rathmill. If you ever need a U.S. ID before you turn 21 - like when you're 16 and I'm 41 - I'll let you borrow my driver's license. Well, I like the US version of Scott Rathmill. Maybe we can call you Scott Rathmill 1.0?